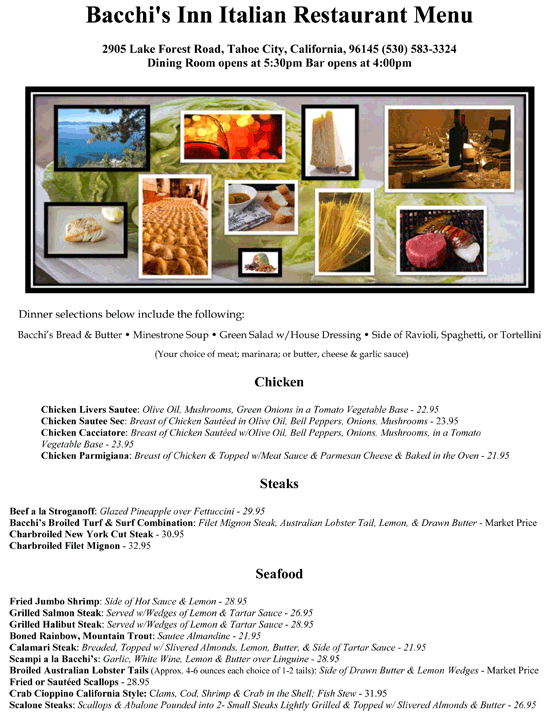 Features: Bacchi's Restaurant Tahoe serves wonderful seafood and meat dishes with Italian flavors. 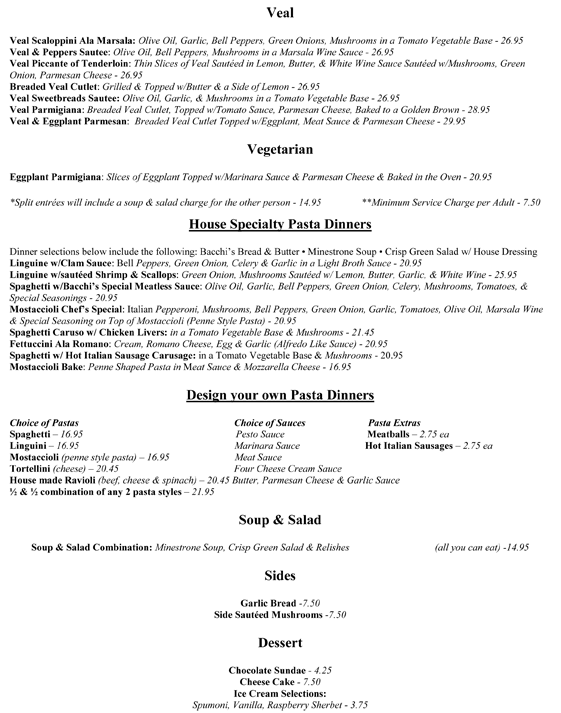 Bacchi's Italian Restaurant Tahoe City makes guests feel welcome with its traditional cozy decor. 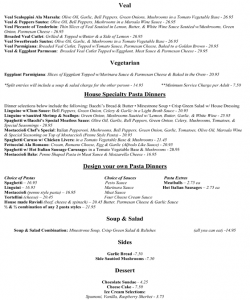 Why We Dine: Bacchi's Restaurant Tahoe serves comforting Italian meals in a cozy setting. 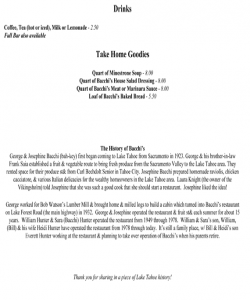 The Seafood: Bacchi's Restaurant Lake Tahoe's popular dishes include the linguini with shrimp and scallops, as well as the linguini with clams. These dishes from Bacchi's Italian Restaurant Tahoe City combine the best of both worlds: starches and seafood. The Ambiance: Bacchi's Restaurant Tahoe provides a relaxing environment in which to enjoy a great Italian meal with family and friends. Just like the Italians do, guests at Bacchi's Italian Restaurant Tahoe City will want to stay for awhile and truly savor their entrees. The Service: Bachi's Italian Restaurant Tahoe City's waitstaff are friendly and attentive. They work to make your dining experience wonderful. Inside Knowledge: Bacchi's Restaurant Tahoe can accommodate large groups, and move tables together for people who want to celebrate special occasions with a big number of friends and families. Spaghetti With Meatballs: This classic dish from Bacchi's Restaurant Tahoe will fulfill your Italian dreams. The tomato sauce and nicely seasoned meatballs have traditional and comforting flavor. Eggplant Parmesan: Bacchi's Italian Restaurant Lake Tahoe's veggie entree packs a punch in terms of taste. This dish has soft and buttery eggplant along with creamy Parmesan cheese that perfectly mixes together to create a great meal. Bacchi's Restaurant Tahoe is a dining establishment that serves Italian food. 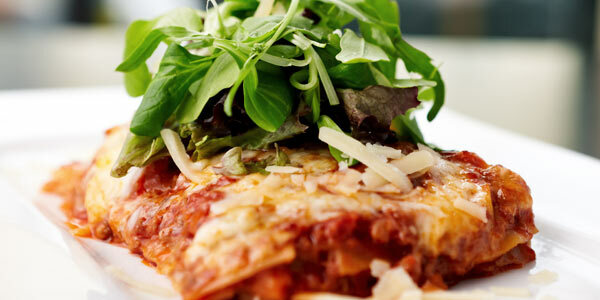 Bacchi's Italian Restaurant Tahoe City serves big plates of hearty pasta and Italian meats. 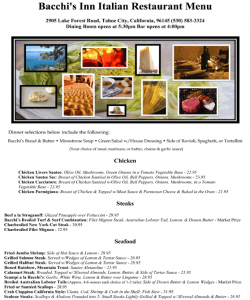 Bacchi's Italian Restaurant Lake Tahoe is known for its traditional European ambiance.